A heavenly oasis strongly desired by the Aretusians. The Marine Protected Natural Area of ​​Plemmiro includes the sea area in front of the eastern part of the Maddalena peninsula, between Punta Castelluccio and Capo Murro di Porco, in the municipality of Syracuse. 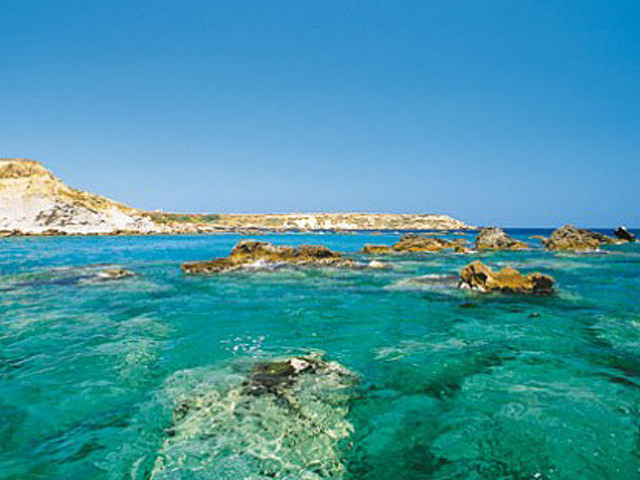 It develops along 12 km of coastline along the geological axis of the ibleo-Maltese cliff. The seabed is low for hundreds of meters between Capo Castelluccio and Punta Tavernara and immediately reaches depths close to 40 meters between Punta Tavernara and Capo Murro di Porco. One of the most popular beaches on the Syracuse coast. 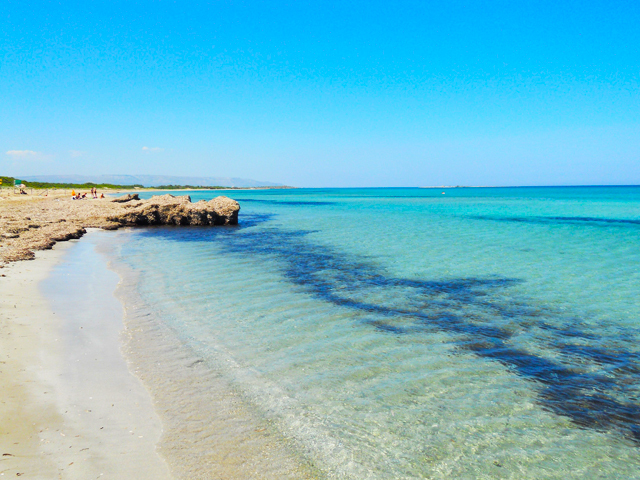 The Arenella beach in Syracuse caters for the most diverse tourist needs: it is very wide and is made up of fine and light sand. The resort offers possibility to rent beach umbrellas and deckchairs, and to rent canoes and pedal boats. The beach is well equipped, with restaurant and bar area. On the left side of the resort is a small free-of-charge beach. To the right of the resort, extends a beautiful free-of-charge beach and a few meters of rocks. In a small island stretched between the waves, a natural border between the Porto Grande and Porto Piccolo, beats the heart of Syracuse. Born between the azure waters of the Ciane river and the soft hair of graceful nymphs, the identity of these places is the perfect synthesis of cultures and civilizations that have lived there over time, leaving the imprint of their essence. Every corner of the historical center of the city, Ortigia, says all about the cultural stratification created: the majesty of the temple of Minerva, the pearl of a scenic and bright square, adorned with prestigious palaces: Beneventano del Bosco Palace, Palazzo Vermexio, Palazzo dell’Arcivescovado , and Palazzo Borgia del Casale which, together with the Church of Santa Lucia alla Badia. Going down the narrow path you reach the mythical Fonte Aretusa and, along the Alfeo promenade, you gradually gain sight of the thirteenth-century Castello Maniace, home of Stupor Mundi, Emperor Federico II. The grandeur of the ancient Greek Corinthian colony is then offered to the visitor in the Archaeological Park of Neapolis, in the upper part of the city. Other very numerous traces of the Greek age, but also of the prehistoric and subsequent ages, are collected in the “Paolo Orsi” Archaeological Museum, one of the most important of its kind on the national territory, a few hundred meters from the archaeological area. Close to the museum is the complex of the Church of San Giovanni alle Catacombe. Here are the homonymous catacombs, an extended labyrinth dating back to the IV-V century AD, shelter of one of the first Christian communities. The most beautiful beach of the town of almond trees. 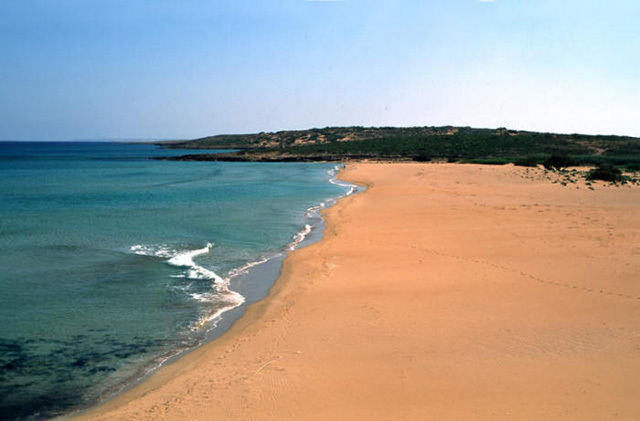 The beautiful beach of the Marchesa di Cassibile takes its name from the noblewoman who owned those lands. It is preserved totally uncontaminated and is characterized by a long beach of white sand where the sea is often calm and crystalline. The ideal place for those who want to feel immersed in wild nature and far from the hassle of the city. In the Stone Garden of Noto human mastery has reached divine summits, also in respect to the upward momentum of the cardinals and potentates of the time, who engaged in a laborious reconstruction work after the terrible earthquake of 1693. Starting from the scenic Porta Reale that opens the Corso Vittorio Emanuele, along the blooming stone garden, one reaches the splendid churches of Noto, true architectural masterpieces: the church of S. Chiara and the Cathedral of San Nicolò, at the height of a scenic staircase. At the end of the climb of via Nicolaci, home to the colorful carpet of petals of the flower of spring, is the eighteenth-century Church of Montevergine. Palazzo Nicolaci, along the street of the same name, presents a series of balconies beautifully supported by characteristic zoomorphic and anthropomorphic shelves, with interesting figures of mermaids, chimeras, masks, centaurs, hippogriffs and sphinxes. Continuing the journey, while the eye sweeps from one side of the main street to the other, now admiring the Basilica of the SS. Salvatore, now arriving at Piazza XVI Maggio, dominated by the elegant convex facade of the Church of S. Domenico, you can then ascend to the overlying and parallel Via Cavour, flanked by majestic noble palaces. The route then continues in the surroundings of the modern city, among the centuries-old olive trees and almond trees of the countryside. Proceeding towards the hilly area of ​​San Corrado outside the walls, where there is the solitary and peaceful Eremo, after the charming Sanctuary of Madonna della Scala, you reach the mighty sixteenth-century walls of Noto Antica, the ancient city that developed along the ridge dell’Alveria. A long stretch of fine golden beach. 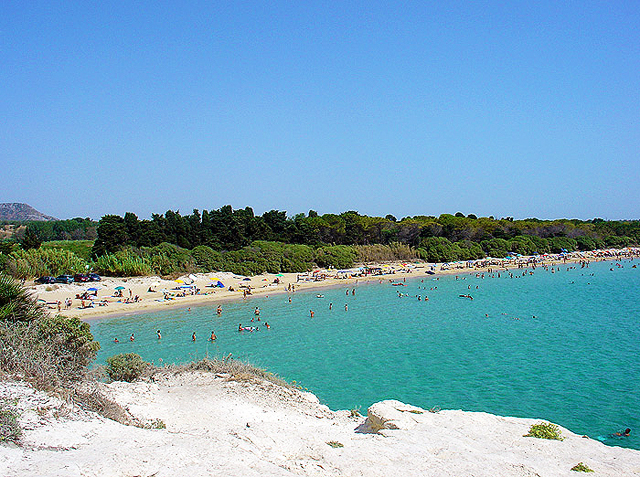 The beach of Eloro can be reached from the Lido di Noto along a dirt road. The ancient city of Eloro was founded by Corinthian settlers who landed from nearby Greece in the 7th century. 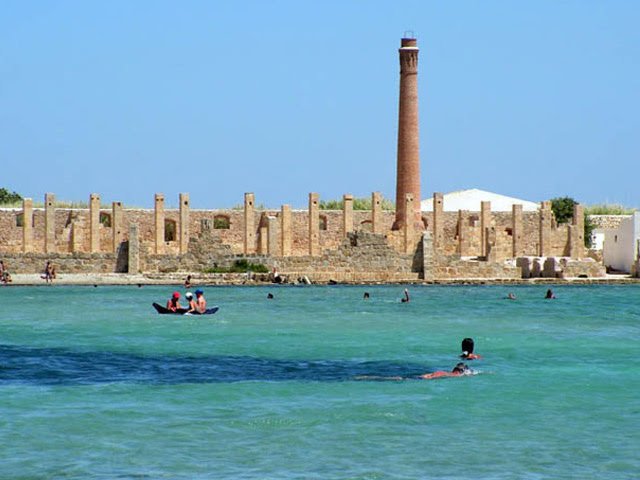 As soon as you reach the beach you can see an odd column called “column pizzuta”, which is believed to be a funerary monument of a family lived in the second half of the third century. The characteristic of this maritime place is its natural position with very large spaces both in length and in width. Although the beach is near the Lido di Noto, it is quite isolated and its size allows sea lovers to spend unique moments in tranquility. An exciting and unmissable place of 8 km wide coastline. The beating heart of the reserve is represented by marshes populated by small fish and invertebrates, food for many species of birds. At the edges of the marshes have been placed observation huts through which you can observe the many species of birds. 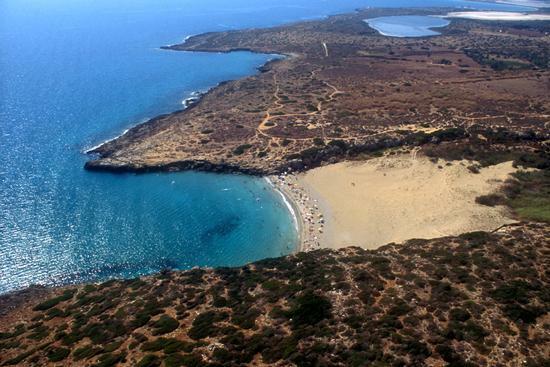 Without comparison, the natural beauty of Vendicari is further expressed by the archaeological sites present. Citadel of the Maccari, used at the time of the Phoenicians and Greeks as an area of ​​commercial exchanges and subsequently was enhanced during the Byzantine era (VI century AD) and the “Trigona” Basilica, a small temple with three apses and a dome roof. Then, again, we find the site of Eloro, the ancient tonnara, active for thousands of years, the Hellenistic plant for the processing of fish, the catacombs and Byzantine churches, the fifteenth-century tower and the medieval remains. On the beach the sea throws bizarre balls of filaments compacted by the motion of the waves, produced by Posidonia oceanica, whose presence is a guarantee of clean sea. The oasis includes a free and charming beach, maintained in its natural state. 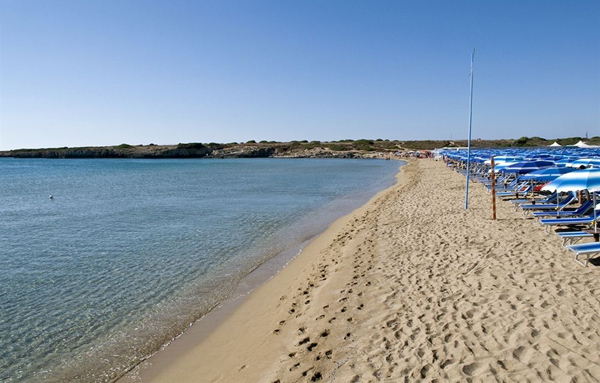 The Calamosche Beach is located between the archaeological ruins of Eloro and the wildlife oasis of Vendicari. The charm of the beach is due to the variety of vegetation and the presence of a quite varied landscape. The small beach is located between two rocky outcrops making the sea almost always calm. Another feature of the beach is the presence of numerous cavities and caves in the two rocky outcrops. To reach the beach of Calamosche it is necessary to walk 15-20 minutes along a path immersed in the Mediterranean, after leaving the car in the appropriate parking at the edge of the reserve. No bars, no resorts. The beach is set in a bay where the water is exceptionally clear. It is considered one of the most beautiful beaches in Italy. This small corner of coastline, about 200 meters long, is set between two large rocky headlands, full of caves and cavities dug into the stone, which enclose it in a sort of quiet embrace and make it a limbo of dreamy calm and suspension. Without a doubt it is one of the wonders of Sicily. Going down to the bottom of the quarry means totally isolating oneself and entering an environment made up only of streams of water, overhanging rocks, a thick vegetation with the presence of a multicolored fauna. Along the river grows a thin but thick band of riparian wood, dominated by the oriental plane tree, stained by colored oleander blossoms, by willows, poplars, hornbeam and ash trees, and by the fragrant myrtle. Beautiful orchids bloom in spring, of which there are several species. On the left bank of the river is a necropolis dating back to the Bronze Age with the early Christian hypogea and agglomerations dating back to the Byzantine period. 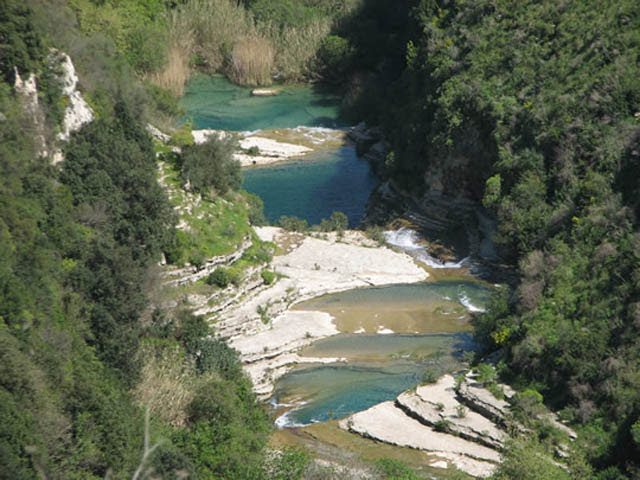 Descending towards the quarry, along a path that slopes between the thick vegetation, we reach the bed of the river Cassibile. Here the stream forms a succession of clear natural pools carved into the rock and surrounded by white flattened stones: an enchanting place for a soothing bath. The rise of the edge is a very suggestive naturalistic route, but also a rather demanding sporting activity. We are inside a very rich and varied ecosystem, the kingdom of a pre-Hellenic civilization that proliferated from the second millennium BC, then disappeared and left the field to the successive Byzantine, Arab and Norman conquests. The valleys of the two main streams, the Anapo and the stream Calcinara, mark, together, two sides of the aerial triangle in which stands the Necropolis of Pantalica, a masterpiece of nature and primitive man, introduced in 2002 into UNESCO World Heritage List. The itinerary offers splendid views of the Anapo canyon below. The historical-naturalistic journey offers unforgettable sensations: the memory of the atrocious battles between Syracuse and Cartaginesi is entangled with the botanical observations on the local flora and the Sicilian sayings inspired by it, while the gaze now focuses on cascades of flowering oleanders that fall capriciously on the rock, now on soft limestone struts colored underwater in emerald green. The route then leads to the Pantalica station, where a small ethno-naturalistic exhibition has been established. A small paradise where you can enjoy azure sea and Mediterranean flora. It is the ideal place for all lovers of surfing and windsurfing. The splendid sea and the immense and beautiful beaches of the area attract large numbers of tourists every year. On the island are some abandoned houses. The islet is perpetually beaten by the waves of the sea, almost always in turmoil. There is little flora on the site, but there are plenty of wild leek plants, capers and other shrubs typical of the Mediterranean. In November 1987 the island, together with a large strip of land for 63.625 hectars, has been included in the regulator of parks and nature reserves, due to the presence of coastal vegetation with halophilous biocenosis and psammophilous relicts, typical of the coast of southern Sicily. They also house hedgehogs, wild rabbits, as well as various species of seagulls such as albatrosses. From here they pass during the period of the migratory flow of water birds from North Africa to the Sicilian coasts. The temperature is quite high in the summer (sometimes even above 37° C in the shade), while it tends to fall in winter, but rarely or almost never below 5° C.